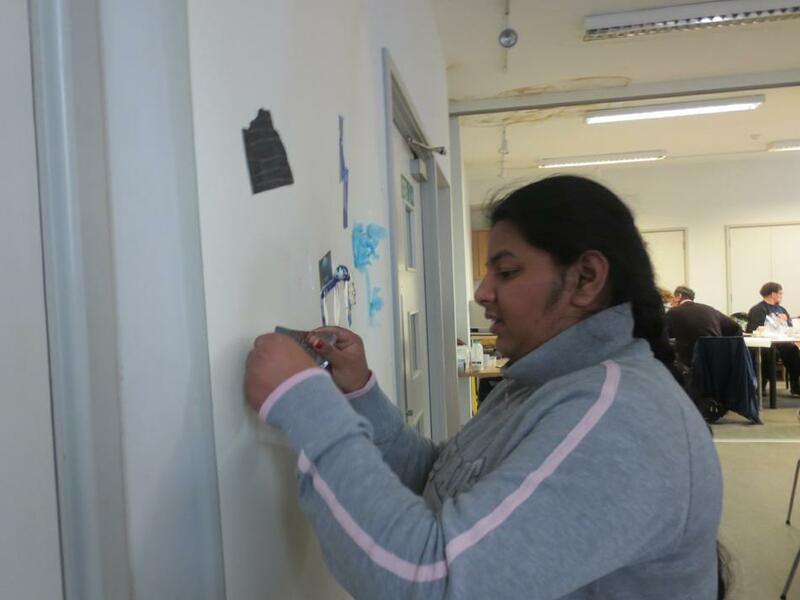 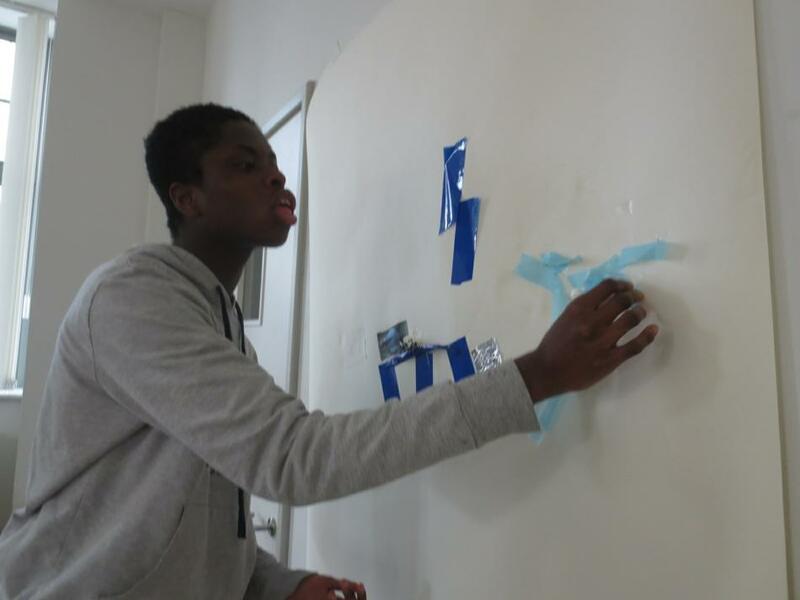 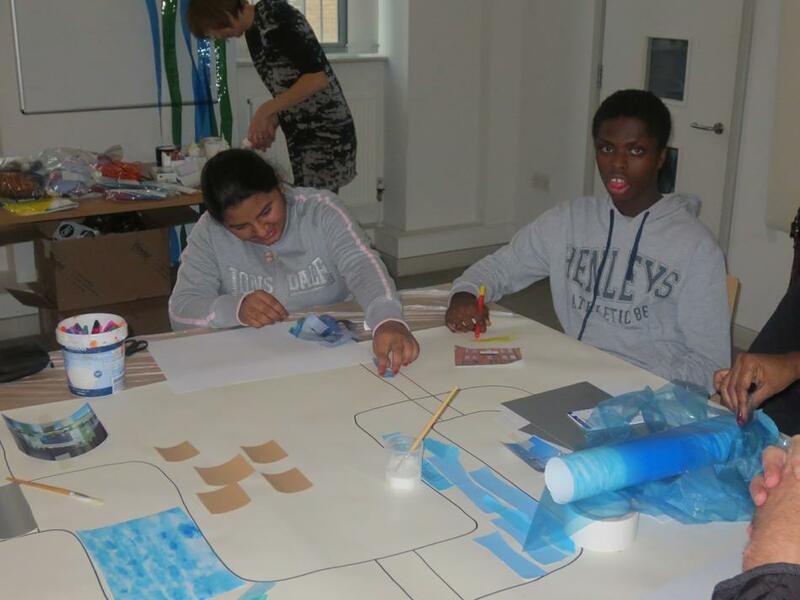 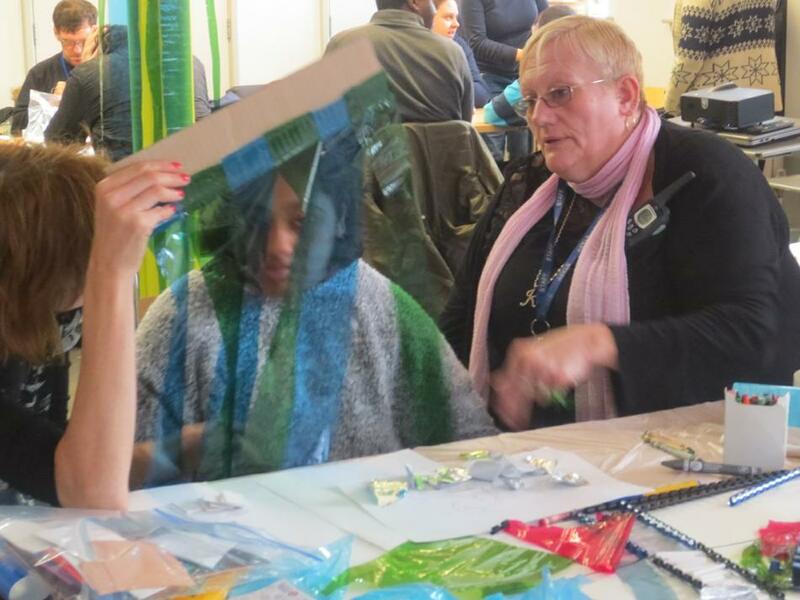 A small group of leavers attended Action Space in Canning Town. 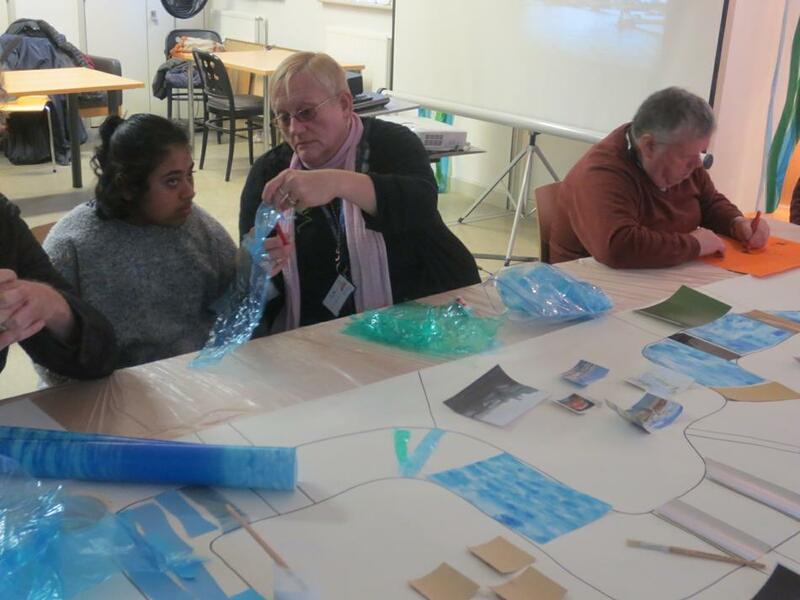 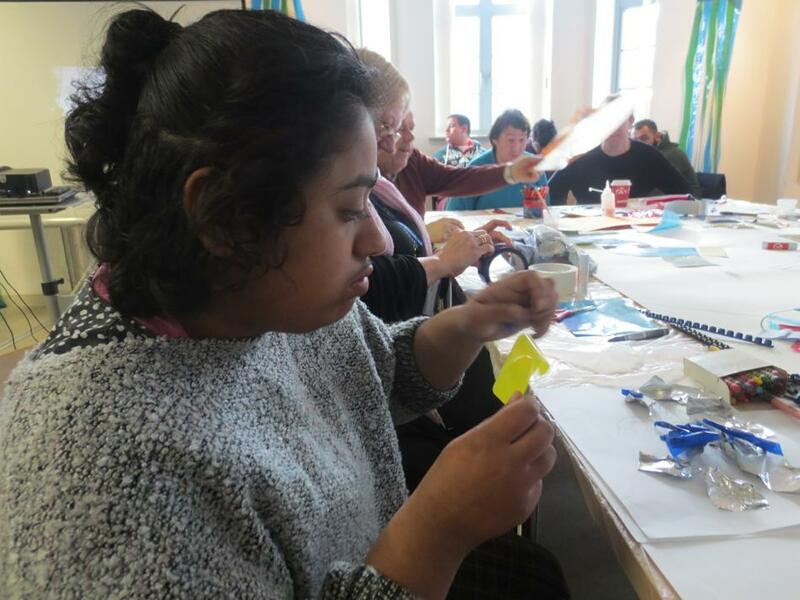 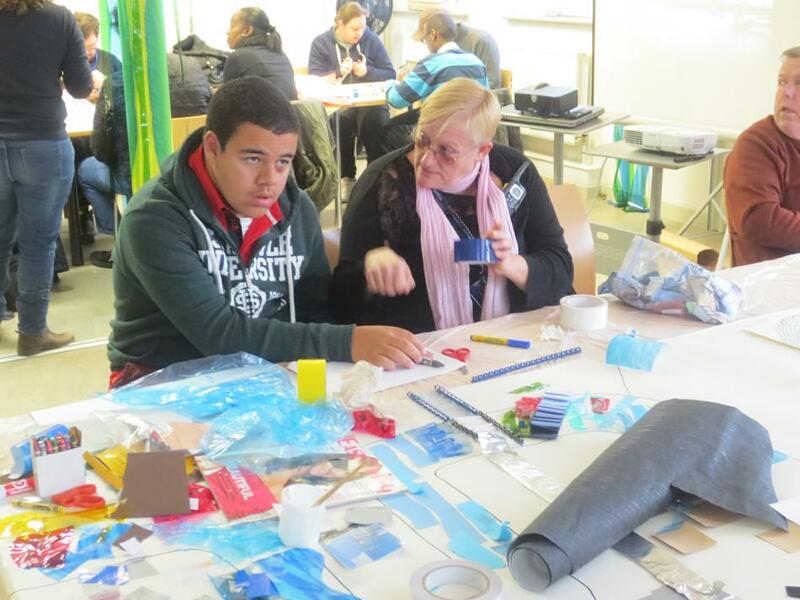 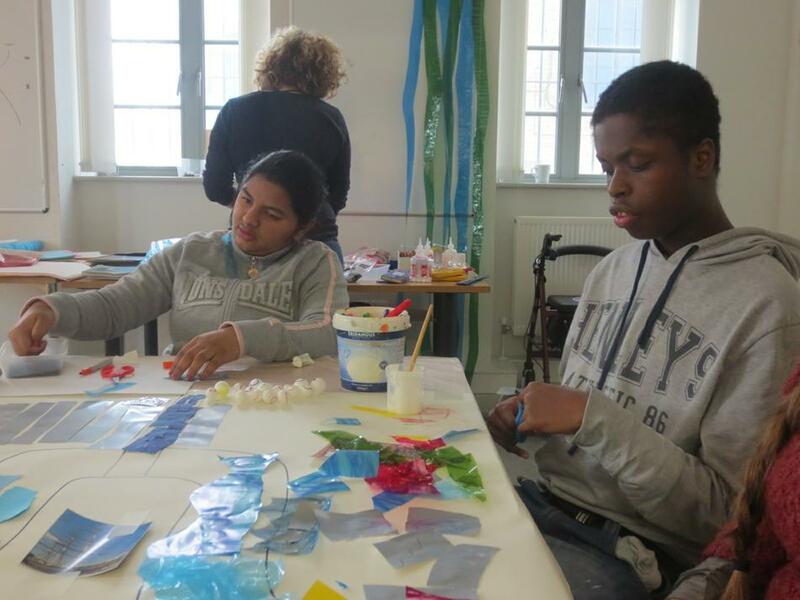 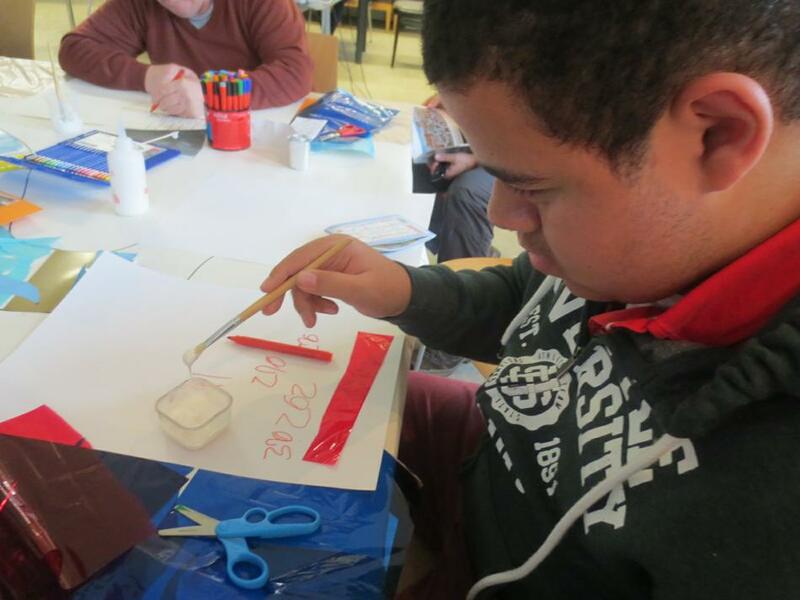 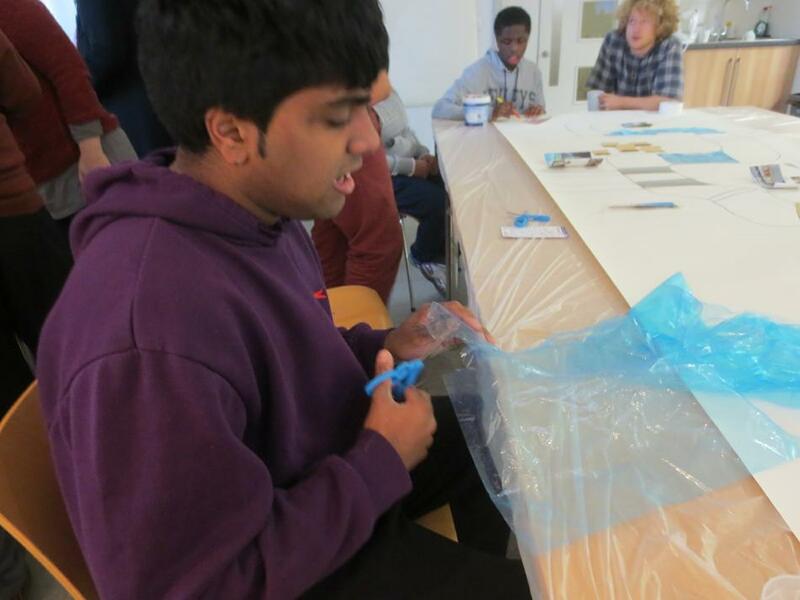 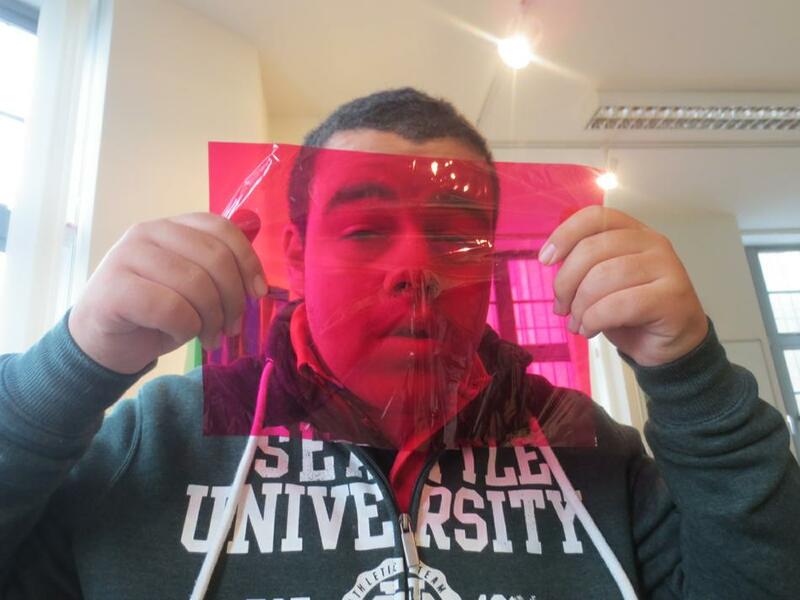 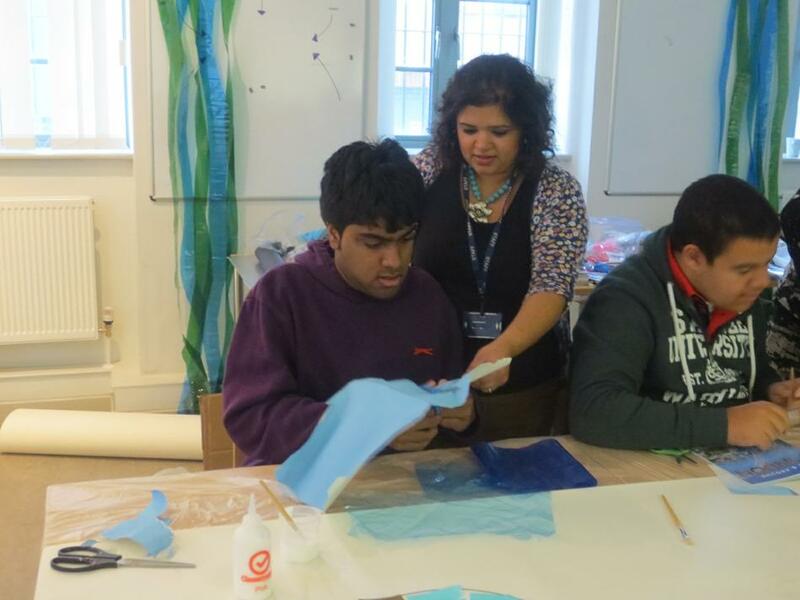 'Action Space supports the development of artists with learning disabilities in a professional studio environment and creates innovative projects for people with learning disabilities to engage with the visual arts.' 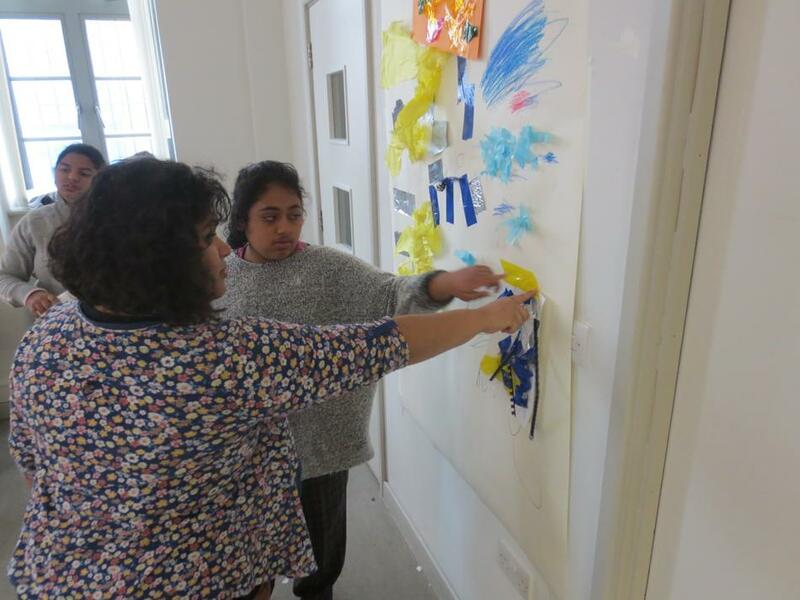 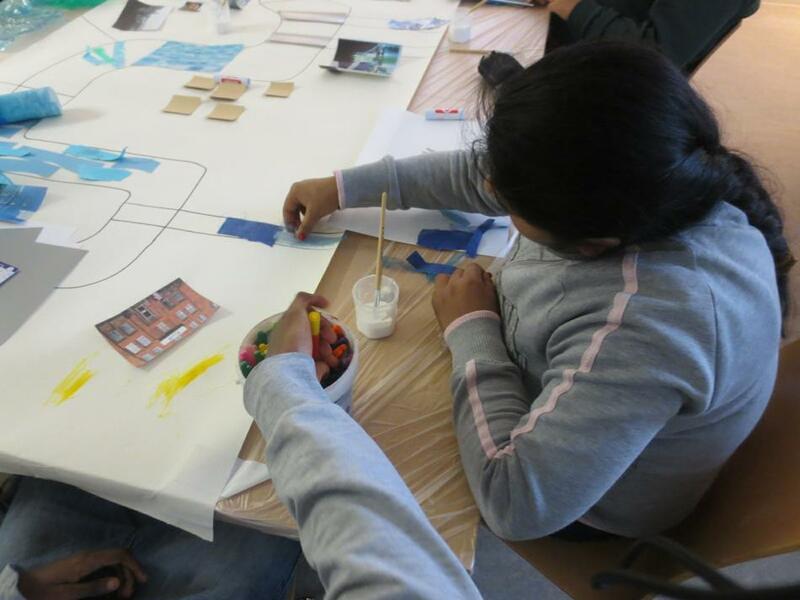 Students experienced mark making and collaging with new adults and worked alongside others in the community. 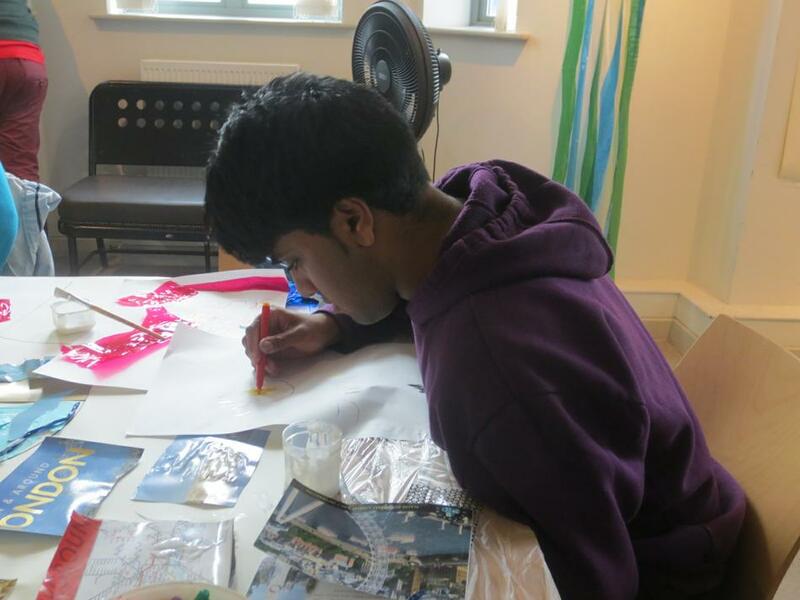 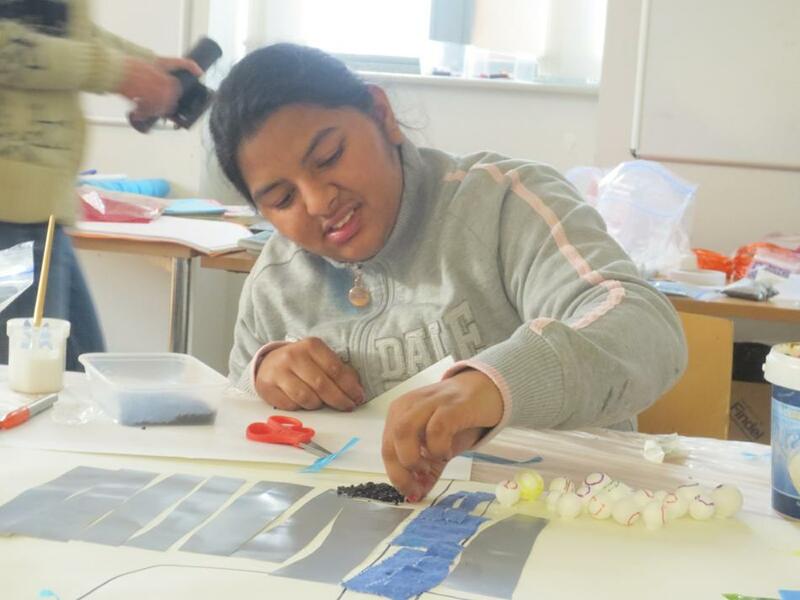 Students enjoyed being creative and working in a new environment.